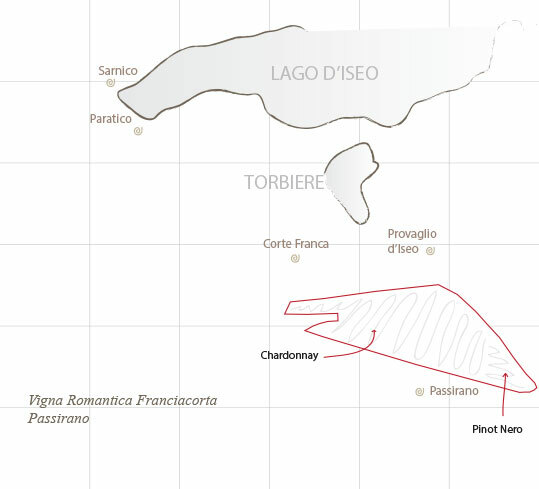 Romantica is nestled into ten hectares of vineyards, nine of which are coultiveted with Chardonnay, and one with Pinot Noir. Into the whole Franciacorta area it is not so common to find wineries with vine rows annexed. Romantica made that kind of choise in order to have every ripening stages under control. In this way we can better organise the job in the fields and figure-out the best time for the wine harvest with a view to crafting the best Franciacorta ever.